The friendly dragons have been bound to earth with dark magic! You have the chance to save the mystical dragons with our radiant heroine Mila. As the descendent of the ancient dragon sentinels, it`s up to Mila to open up the Dragon Portals necessary to set the dragons free. Travel across an incredible world and use special power ups to complete each challenging level. Get hooked on exciting Match 3 gameplay! 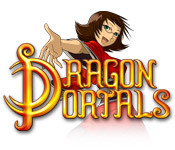 Dragon Portals is rated 4.2 out of 5 by 5. Rated 5 out of 5 by Snowfoxx from So addictive! Take one spunky girl, an old wiseman, and some celestial dragons in trouble, and you get Dragon Portals. When Mila finds that she has been summoned to help the celestial dragons on their journey from earth back to the heavens, she gets the courage to lift them up, and gets us locked into this addictive match 3 game. The dragons carry on them different orbs that need to be matched up, and the more matches we make, the higher they can fly. Mila's main objective is not to let them hit the ground. At first, this is not so difficult to do. 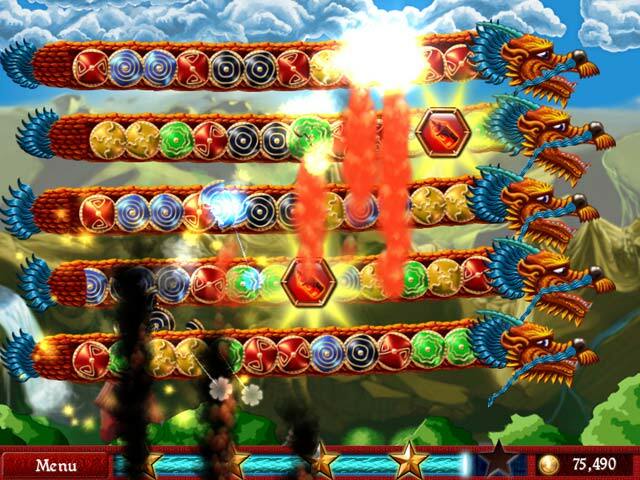 One makes matches by clicking the orb on one dragon that might obstruct a 3-way match, or by choosing an orb above a dragon that might match with the orbs on the dragon flying below it. Mila can earn tools and trophies along the way that can help her, also. Considering that this game was created by Myth People, a company that has coming into modern legend for creating amazing match 3 games, there is no mystery that once you get started on Dragon Portals you won't want to stop. With the wonderful Chinese culture back story and art, you'll want to help keep those dragons aloft for hours. The bonus you get from taking pictures of the dragons for some dragon science society is just gravy. When you do download Dragon Portals, you might want to do so on a weekend, because you won't want to stop once you get started. Rated 4 out of 5 by mrm2006 from Surprise! Great Little Game!!! Storyline: You are Mila, and it's up to you to help save the Dragons who are flying above Dragonia. Graphics: I wasn't expecting much here but, surprisingly, everything was stunningly beautiful. The dragons, even the power ups. I wish I could have freeze-framed some of the levels just to gaze upon them for a while. Wish there was a screensaver mode. Sound: Oh my goodness....so relaxing...so calming. Even when the power ups went off it was with such calm, almost a whisper. Nothing short of amazing. Game play: This is not a Match 3 (M3) that I've ever come across before. 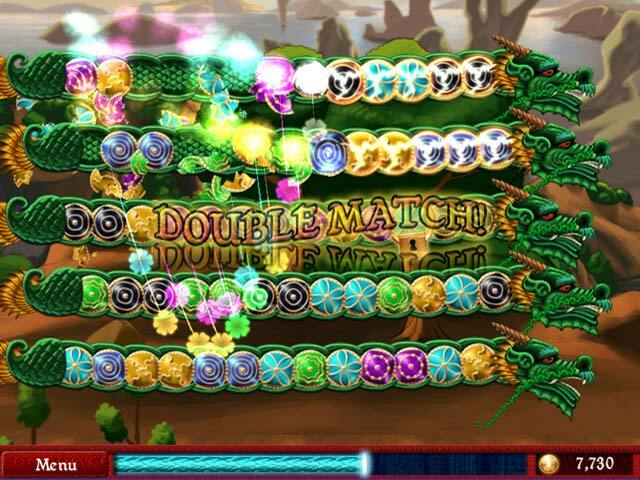 There are 5 or 6 rows of balls (on the backs of dragons) and in order to get your match 3 or better you have to drop colored balls from the row above to the row below. You can make "double matches" but not in the regular sense of game play. It doesn't mean 2 matches in a row. A "double match" occurs when you have made one match and another occurs as a result. Power Ups: There are many - in 3 categories - destructive, creative and passive (I apologize if I didn't get the names right). When earned, you are given the choice of 1 of 2 Power Ups. You get a description of what each will you. Once you choose, it lights up on the board showing the 3 types mentioned above. Choose wisely. While no Power Up is designed to harm your game play, some just work better than others. Bonuses: After every level of game play, the music speeds up, everything starts flashing (this gave me a headache) and you have seconds in which to make match 3's. It's very difficult. After several levels of game play, you go to a bonus level in which you can "accept" or "reject" a Quest (for want of a better word). It really is the easiest part of the game. You are shown a picture of a dragon's head and your job is to find that dragon and take a carefully placed photo of it's head. Be careful, some are very similar in color, with only a snippet of difference. For instance, there may be a green dragon's head but it may have a ribbon of gold or red flowing behind it. Make sure you get the correct dragon or you lose that shot. You earn up to 5 stars depending on how "on" your shot is. The game play begins with only the choice of "Adventure" unlocked. However, you have to open "Options" in order to choose the "relaxed" mode of play. This is NOT a very relaxing game because you have to move very, very quickly to drop those colored balls. You barely have time to think - you have to react - very quickly. I would have given this game a 5 star Overall Rating except for the "flashing" period of time because it hurt my eyes and I know some people are very sensitive to any lights that are flashing, etc. So, PLEASE make a note of this. I also did not give it a 5 star Overall Rating because you react - you don't pick and choose and think of your next move. You have to constantly be doing something. I didn't find this relaxing at all. This Glam-ma thinks this was a surprisingly fun game but because of the above issues (for me only), I will not be purchasing this game. However, I do hope you will at least try the Free Trial. I believe you will truly enjoy it. All you have to lose is an hour of your time. This review is my unbiased opinion of this game - mine only. If this review was helpful to you, please click on the "yes" button below. If not, there is a "no" button as well. Seriously? You'd give your Glam-ma a "no". Just kidding. Happy Gaming. Rated 2 out of 5 by myyorkies1994 from Not My Kind of Match 3... This is a very different concept in M3 games. 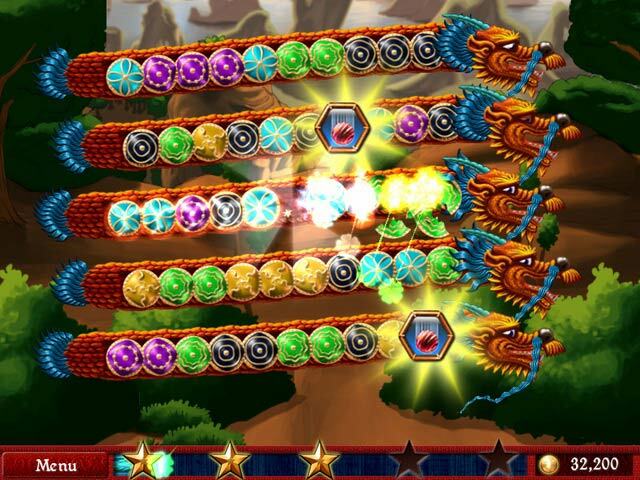 You have to drop colored orbs from fours rows of flying, waving dragons, to make a match of 3 or more of the same color on the dragon below. There are power-ups that are earned early. I got sea sick trying to focus on the waving dragons! The graphics and colors are bright and vivid, and the music eclectic, but this is not my kind of M3. Fly far above the beautiful land of Dragonia and help Mila to save the friendly dragons in this exciting Match 3 adventure!